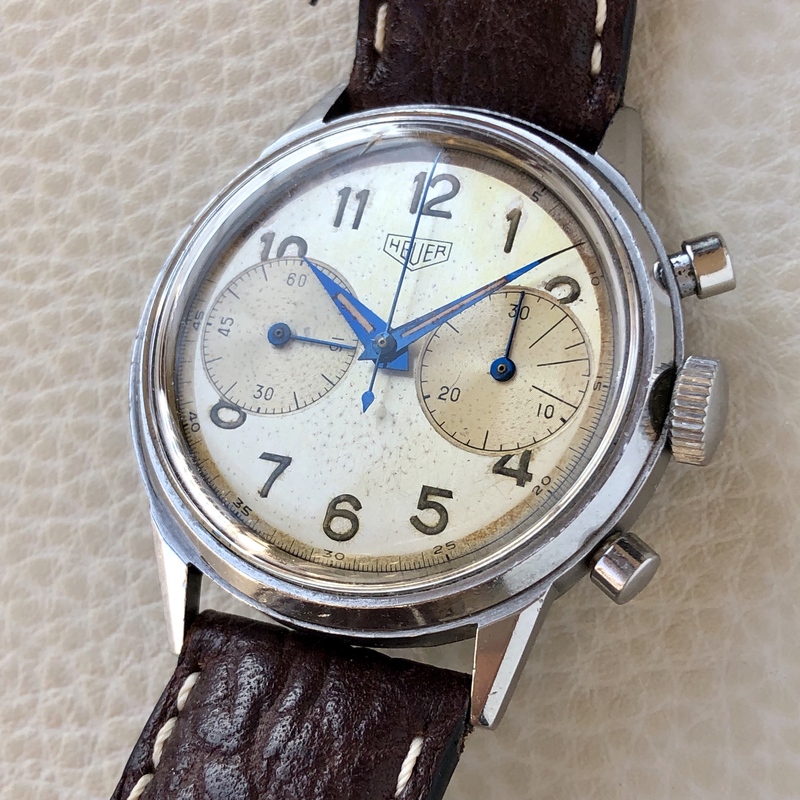 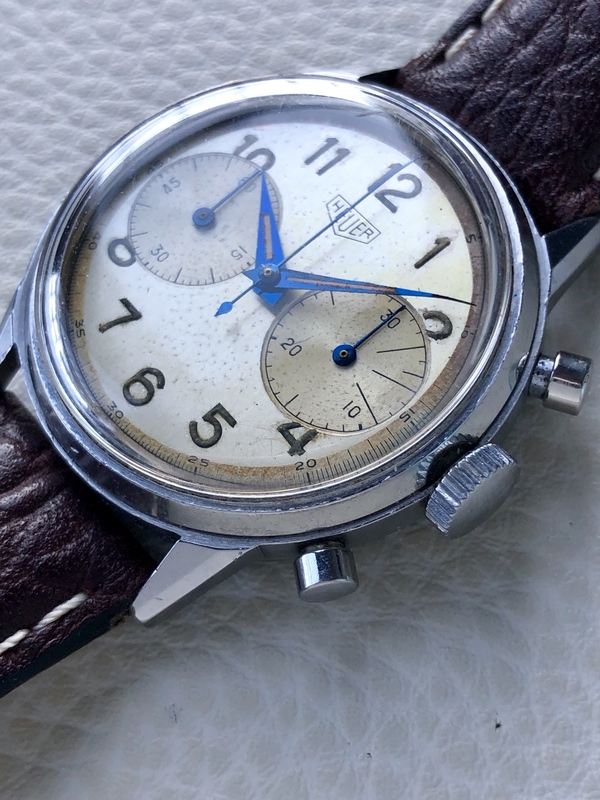 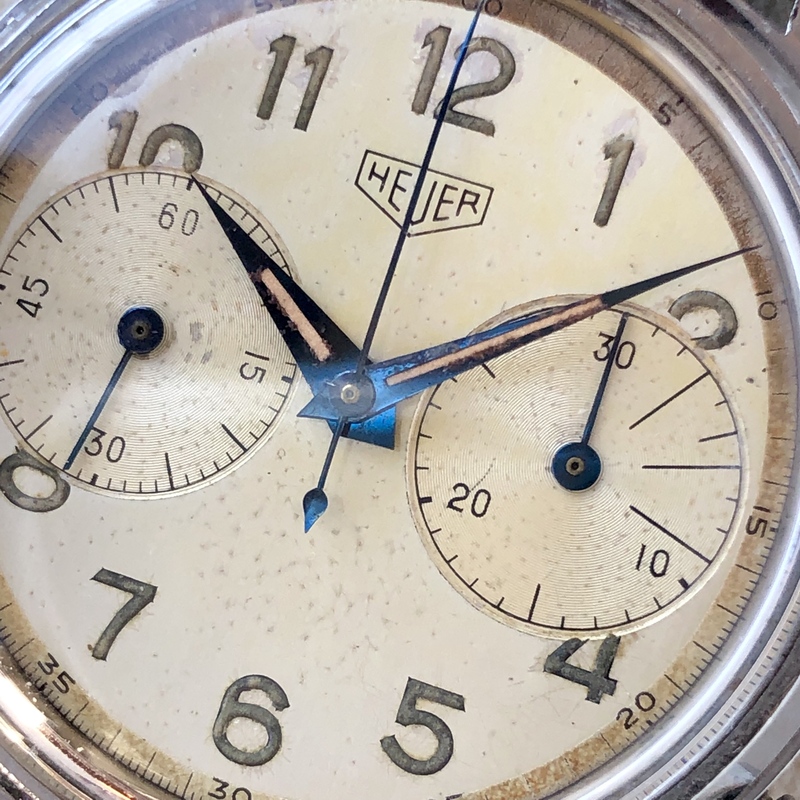 I'm offering this 50’s Heuer big eyes all Original with aged Tritium blue dauphine hands. 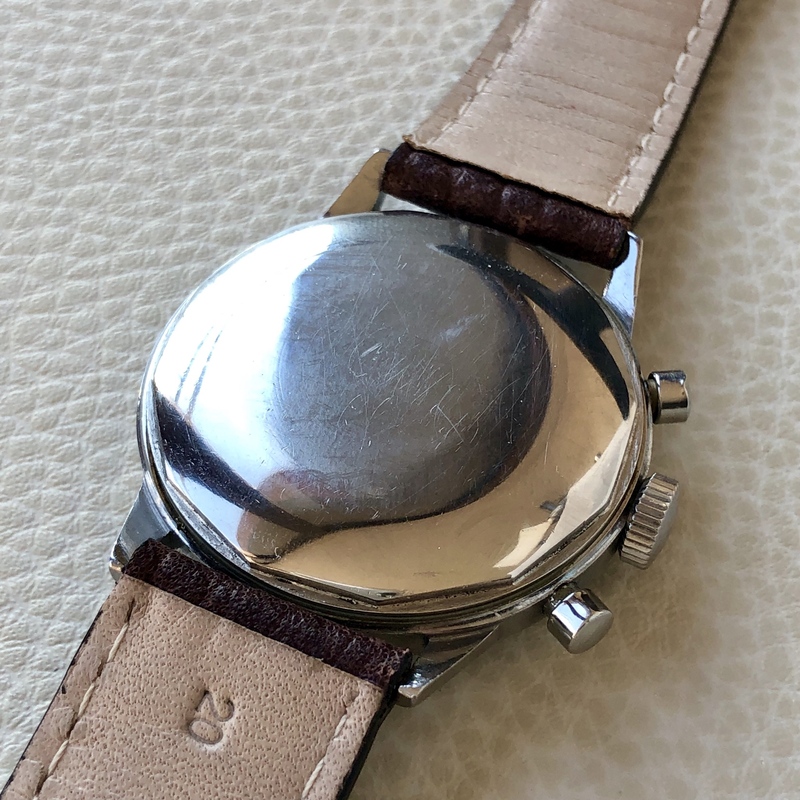 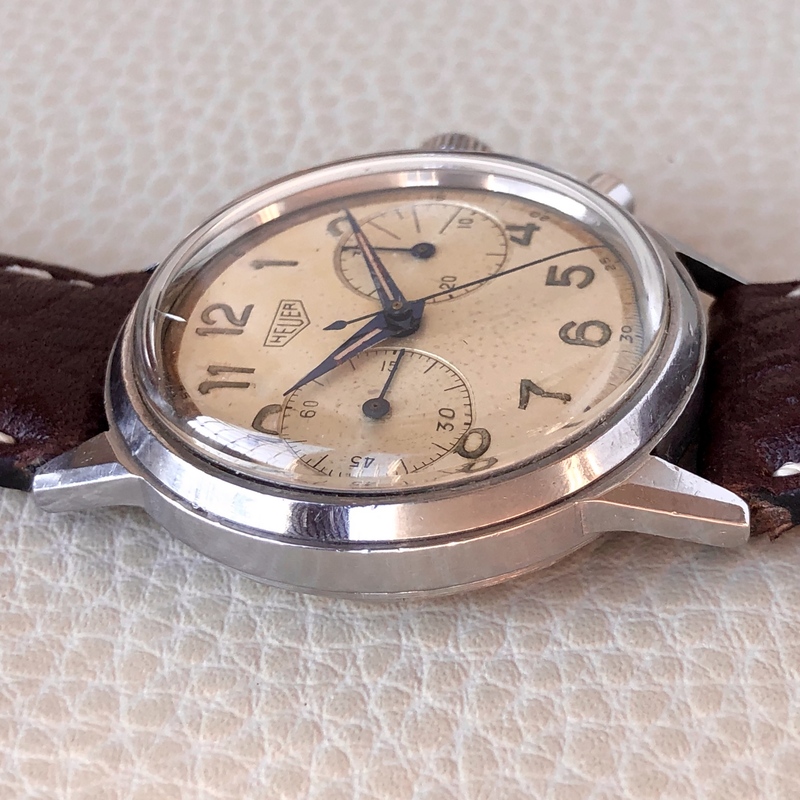 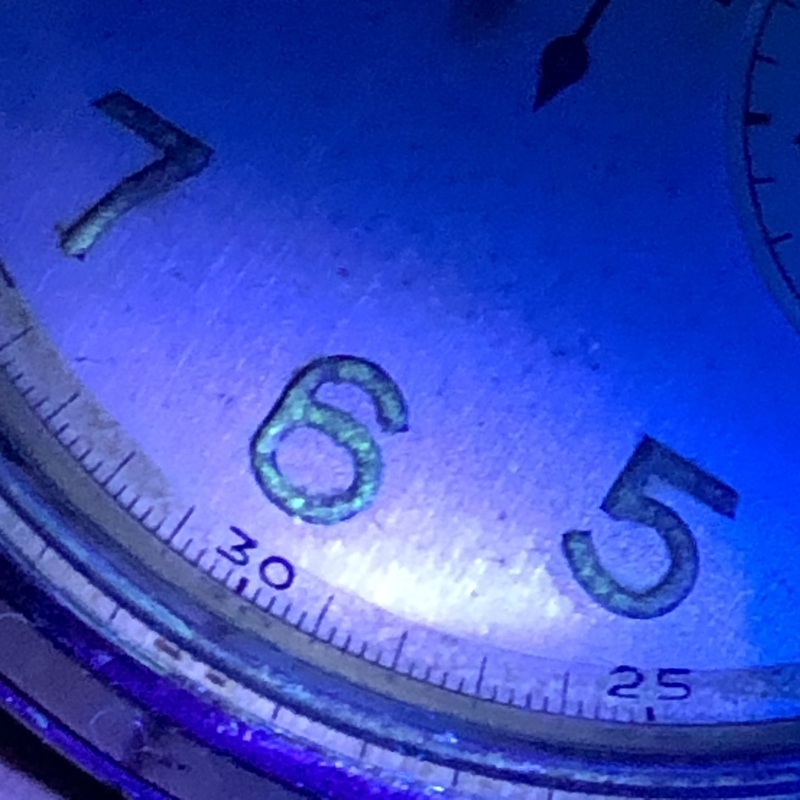 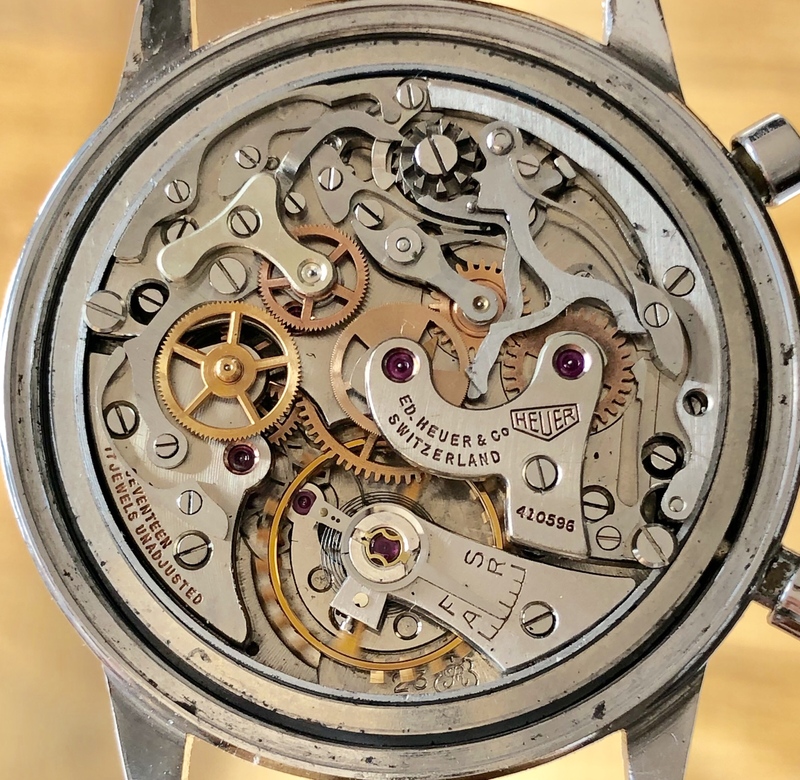 DIAL has a beautiful condition with very nice patina, Arabic Tritium numeral index on the dial and hands also untouched, with original Tritium too. 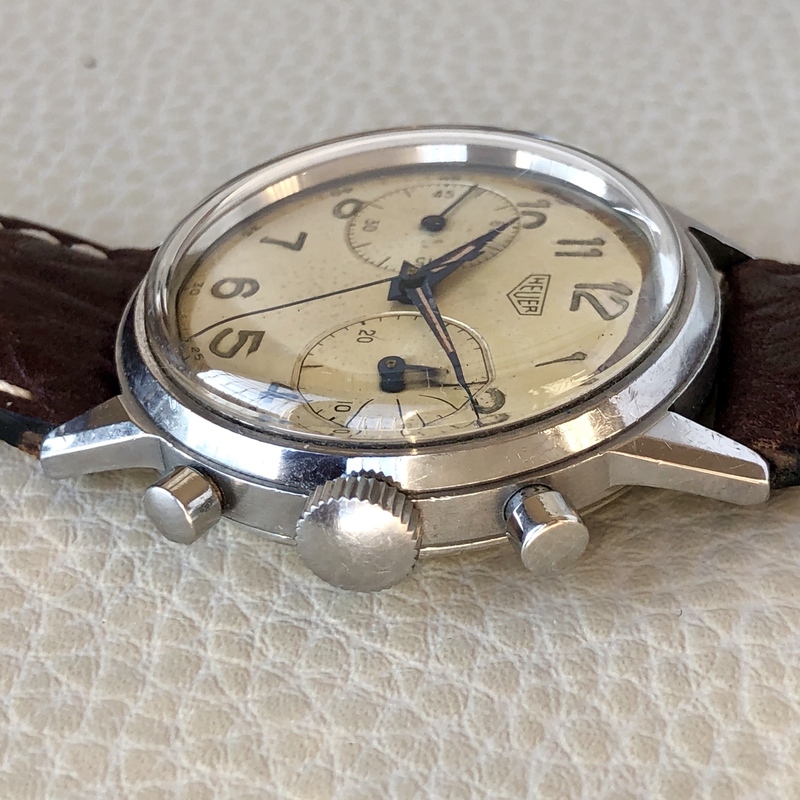 Please check the detailed pics, all pics are part of the description! 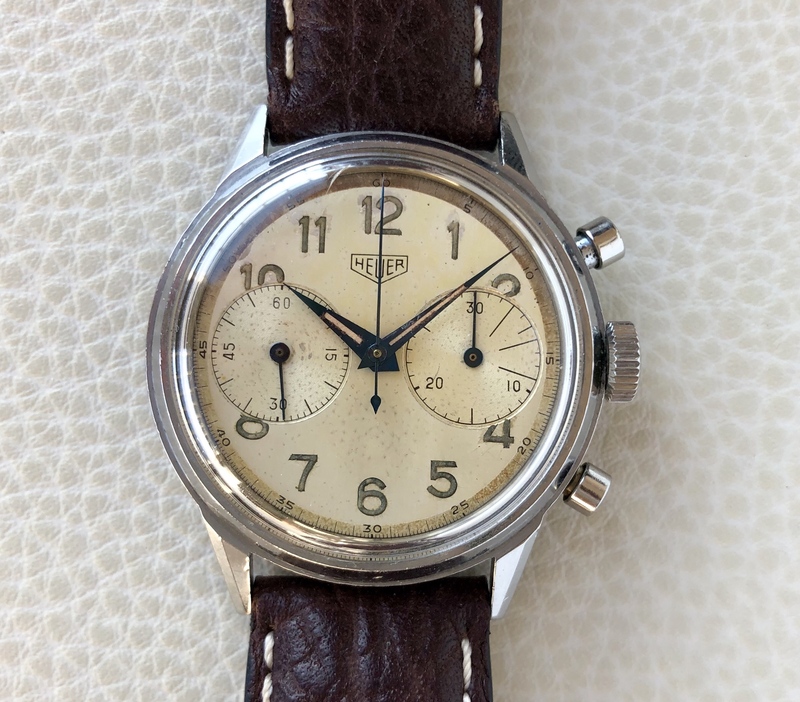 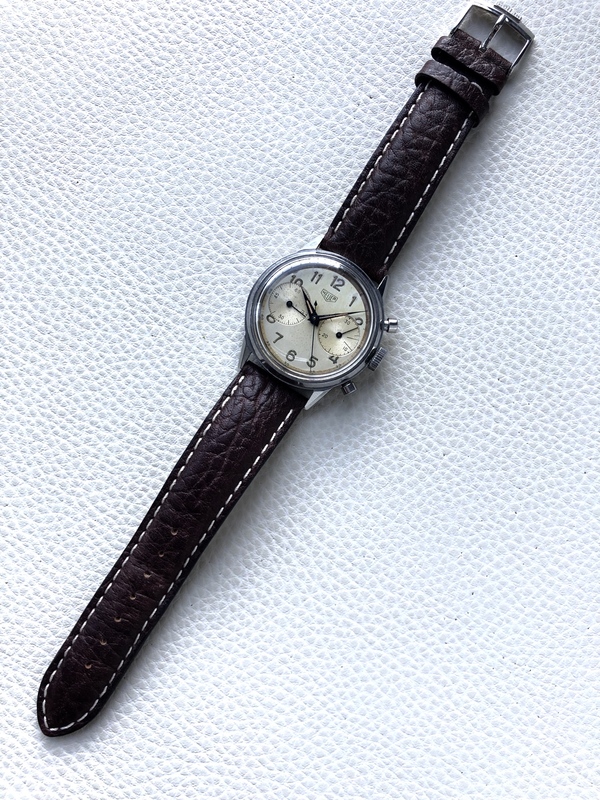 Dressed with very nice almost new brown leather strap and Heuer buckle. 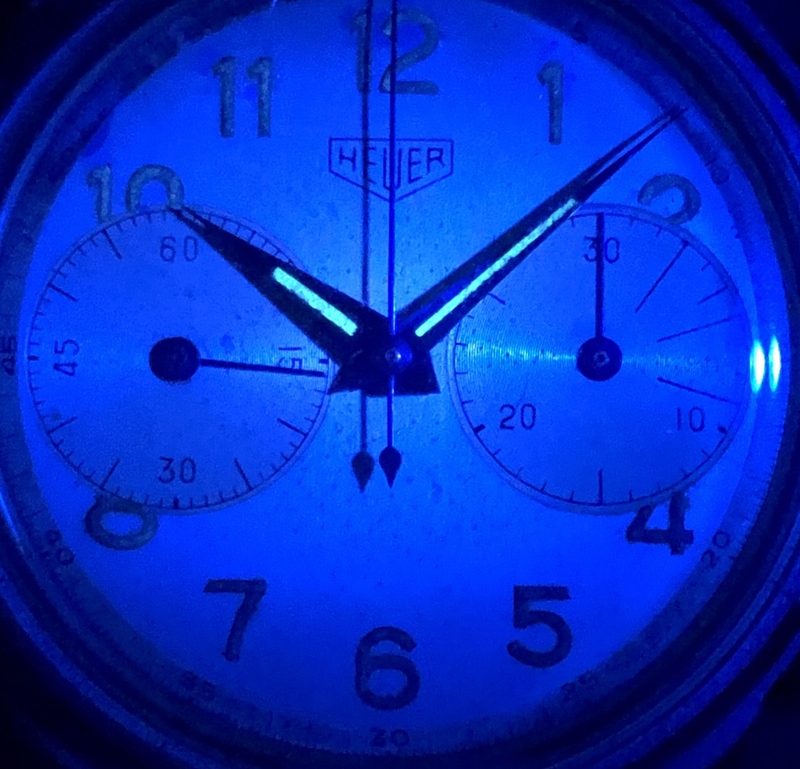 Please feel free to ask if any question or will be happy to send you more pics if necessary.